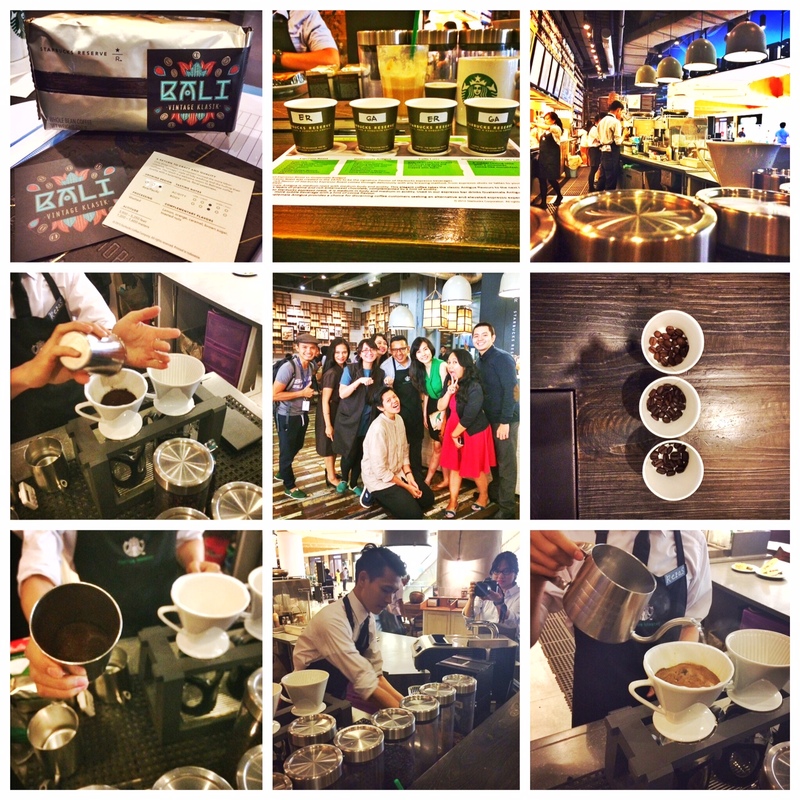 I’ve just been invited to the Digital Coffee Talk at Starbucks Reserved, Grand Indonesia last night. And i learned a lot of things! Learning about coffee makes me realize how complicated but yet how beautiful the process of making these coffees, and i am amazed. But then i remembered one old story that i got from one seminar at my office couple of months ago about coffee and life. So, what’s exactly that Coffee can do with your life? These 3 things are your response to your life while The pot with boiling water is everything your life offers you – especially burdens and obstacles. Carrot is strong, nothing seems to be able to break her. She is thick and looks tough from the outside. She is the brave one, you can see her color she’s shown to everyone in front of her. There’s nothing she hides – seems like there’s no weakness at all from her. She is born to be the spotlight from the other. Egg is vulnerable. She never dare to takes the risk because she fears of breaking. She knew that if she’s broken down, there is nothing could fix her. She hides her most vulnerable part inside of her thin layer. Unlike Carrot – she doesn’t look tough at all. She is the “need of protection” kind of one. Well there’s nothing special from Coffee beside of maybe the smell. But even so, there are some people who doesn’t like the smell. She is not the chatty type, she is calm enough to know her part. She realized that, well there are people who likes her but some others don’t – and it seems to not bothering her at all. She keeps herself in between, she is not a tough one yet she is not the vulnerable one also. So imagine you put all these things into 3 different pots of boiling water. Imagine when these 3 meet their worst enemy. Carrot will slowly becomes soft and even break when she dwells in the boiling water for too long. The strongest one changed to be the most vulnerable one. There are some people who’s strong enough but when they are faced with their worst nightmare – they’re broken down, they thought that there’s no more hope and only see an end tunnel. I know you could name one person you know is like this or maybe it is you. Wonder why? This happens to they who think that life is on their own hands, too strong walking their life and forget that they are not the strongest who controls it, they never make a room for the unexpected things – so when it comes, it shocks and breaks them down. Egg on the other side becomes solid and harden. The boiling water somehow changes the Egg harder and harder. Too hard it could break the skin. Too many obstacles and burdens suddenly change the Egg inside and out, she becomes a hard one – too hard until she can not trust anyone, she is clothed in a solid hatred, too hard to see forgiveness, chances and love. She build a wall because disappointment which she fears the most greets her the hard way. Just like a broken glass that never could be fixed, while the pieces could only bring scars and scratch the blood out of any fingers touching it. You can never find the Coffee seed or powder inside the pot. You can only find the smell and see that it’s not the boiling water who changes her, but she is the one who changes the water. They blend together perfectly. The coffee melts and blends in the water, she faced all the hot water and decide to deal with it. Despite of changing herself, she deals with it and finally blends in. She is brave enough to keep going, and the more she blends the better the smells. She always prepares a room for a boiling water, because she knew she is a coffee and somehow there will be a time where she will be brewed. Unlike Carrot and Egg that are already born like it, Coffee has to go through a lot in her life. She has to go through the selection and a long process to have those qualities. What amazed me from learning Coffee at Starbucks Reserved yesterday is how complicated the actual making of one glass of coffee. Starbucks Reserved serves not only the general Sbucks menu but also the unique coffees from all region. And last night we were introduced to Bali Coffee, one of the heritages from Indonesia, and Acidity is the most expected taste from this Bali Coffee. Everything could affect the quality of Coffee, for example : Temperature, Humidity, Water Quality, etc. 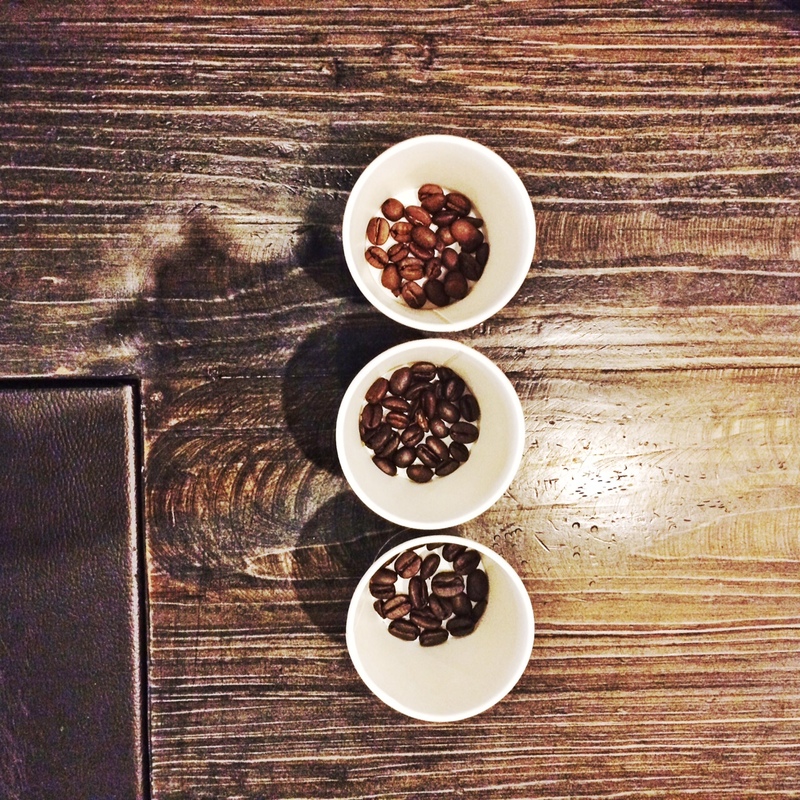 Everything should be perfect to make a perfect coffee seeds. To be a good Coffee, she has to choose the right things. Making a good coffee, it has to been through several of processes. Once she is plucked, she is then separated from the tree and soaked into the water. Here she is divided between the good seed and the bad seed, here you can see the tree who produced the seed whether it’s good or not. If she survives the selection, then she has to be put in the filter machine – and being soaked again to get the perfect acidity. Not only that, she then has to be dried. After several of days being dried, she has to be separated from the dead skin and being dried once again for couple of days to make it perfect. After it’s all perfect, she is then ready to be packed. Learn to see every obstacles as your process to make you even more perfect. The more difficult it gets, the more it will mature you until finally you become a perfect seed. Remember the difference of a bad seed and a good seed it’s like to drink a bad stinky coffee and a great quality coffee like the one you’ll get in Starbucks that could cost much more that the usual seeds. Because perfect seeds are precious. Be one. A good Coffee doesn’t need sugar or milk to make it tasty. Sugar only ruins the real taste of Coffee. And a funny fact is that enjoying coffee in Starbucks always needs the pairing. The perfect pairing could advance the coffee taste even more, the wrong pairing could then ruin the real taste and quality. Your community / your pairing affects your quality! Go with the soldiers and you’ll be back winning, go with the loser then you’ll be back lose. Finally, To get The Perfect Blend with your “boiling water”, just remember to be Coffee.